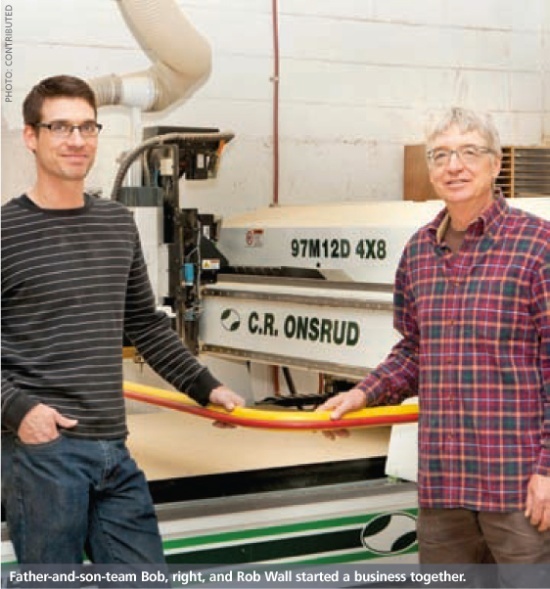 For father-and-son-team Bob and Rob Wall, starting a business together has been a great experience, but it’s also meant taking big risks and being prepared to work long days to get the new company up and running. And it still is hard work and there are times when Rob thinks back, ever so briefly, about a regular nine-to-five job. But those moments don’t last. For one, he is too busy, but mostly because they have never regretted their decision to turn Rob’s trade and Bob’s serious hobby into a family business. 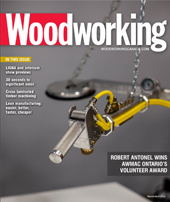 Bob Wall - who has always been an avid woodworker, albeit only as a serious and dedicated hobbyist until they started the company – actually retired from a job in the financial services sector. When Rob suggested to his father that they should start a business together, Bob realized his retirement wouldn’t quite be what he had in mind, but he wanted to do it anyway. “I am really enjoying myself and it is fun going to work every day,” he says of working full time again, in business with his son. Rob Wall is a Certified Wood Process Technician (TRU Technology Diploma) with more than 10 years experience in the cabinet making and millwork trade. He has plenty of experience having worked for some of the (B.C.) interiors’ largest manufacturers of residential kitchens and commercial millwork and when his parents moved to Kelowna, B.C. to retire, he talked to his father about getting into business together. “It was just one of those things, we had talked about it before, sort of in passing, and when my father retired it just came up again,” says Rob. And Kelowna was a good market for them, because it would support what they had in mind for the business. They wanted to go after the high-end of the market and Kelowna was just the right size for such a business. For Rob it meant relocating his wife Jennifer and their three children. It wasn’t easy, but they managed. And Bob’s wife and Ron’s mother, Hilda, also supported their new venture. As luck would have it, they developed a relationship with a well-known local designer and she, almost immediately, began to send work their way. That was in 2009, they weren’t actually quite ready to go yet, but they improvised and made it work. They started the business in Bob’s 750 sq. ft., two-car garage. So they invested in a used vertical panel saw (space was an issue), then a small edgebander and a small drilling machine. And their good fortunes continued because the work never stopped coming. It didn’t take them long to earn a name for themselves and a reputation for good work and a quality product. As anyone in business knows, you can’t beat word of mouth and that’s also what worked for them. One customer told the next and so on and so on. They offer everything from custom-designed kitchens and bathroom cabinets to counters, furniture and a large variety of interior finishes. And everything they do is hand-crafted in their shop in Kelowna. There is a wide selection of materials and finishes and they promise every project will offer a perfect blend of style and function. In addition they produce finely constructed shaker-style furniture, which is elegant in its simplicity and rich in beauty. On their website they describe it as the kind of furniture that will be “passed down through generations, always remaining strong and stylish. 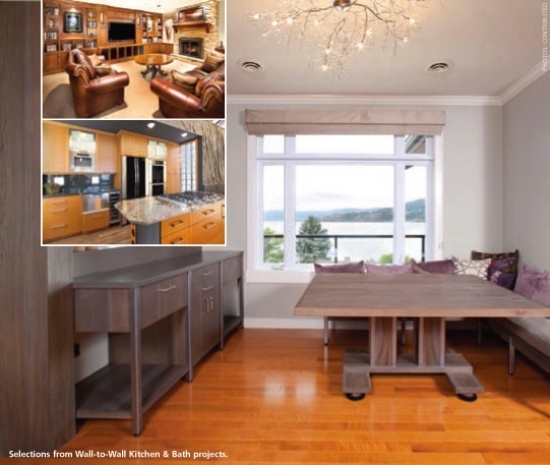 Our goal is to create high quality custom furniture at an affordable price.” Rob adds that Wall-to-Wall Kitchen & Bath strives to run an environmentally conscious business and they offer customers many choices when it comes to using environmentally responsible, eco-friendly and sustainable products. After about one year in the garage, the father and son team just couldn’t continue in the small space and made the move to a bigger, 2,400 sq. ft. shop. They hired their first employee to help them with the move, but he never left and in fact they hired another shortly after that. Both have helped them grow the business and both Rob and Bob say they are grateful to Anthony Watson and Tony Wall for having worked so hard and playing an essential part in helping them succeed. Of course credit must also go to their installer Jason Bailey, because good installation is a key part to any successful project. In an ironic twist, the designer that was so instrumental in the beginning and helped them get started actually retired without letting them know and it was only when they realized that they weren’t getting any more projects from her that something was up. “Fortunately, by this time, we were quite busy with other projects and we had formed business relationships with several local contractors and custom homebuilders,” Rob says. They also stand behind their work, guarantee it and make sure clients get exactly what they were promised. 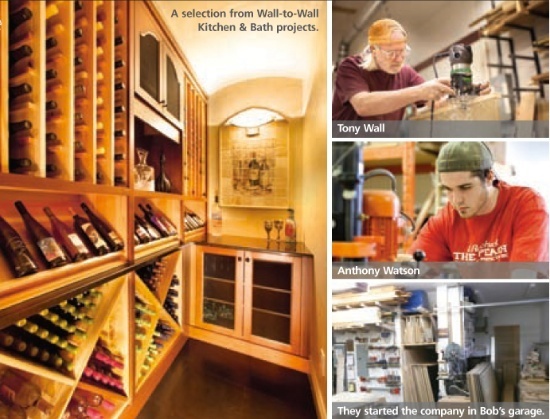 For customers planning a new kitchen or renovation, Wall-To-Wall Kitchen & Bath offers the complete package. From the custom-tailored design of the cabinets and the selection of finishes and materials to final installation, they deliver a stress-free project that will be completed to the client’s exact wishes. And their custom designs and manufacturing range from the aforementioned complete kitchens and bathrooms, to home offices, media and entertainment rooms, finish carpentry, commercial millwork, furniture, project management and even cabinet refacing. In other words, if it’s made from wood, they can do it. Rob says about 70 per cent of their business comes from contractors and homebuilders, the other 30 per cent is client referrals and Internet sales via their website, which has provided a steady stream of customers as well. Their main service areas are Kelowna and the entire Okanagan Valley. However, they do offer services right across British Columbia and Alberta for large projects as well. An important step in growing the company came in January 2012 when they added a CNC machine. The question was what they should replace it with. So they decided to go to AWFS Fair in Las Vegas to see all available machines. “You just can’t beat the big trade shows for checking out all the machines in action and side-by-side to compare everything,” Bob says. C.R. Onsrud wasn’t on their radar when they went to the show. 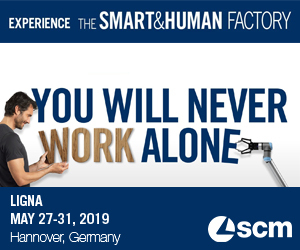 In fact, they hadn’t even heard of the American company before they saw their selection at the show, but what they saw immediately struck a chord with them and they bought a C.R. Onsrud Mate 4x8 CNC router. To go along with the CNC, they bought a vacuum lift and together it’s made a huge difference. It has enabled them to simplify even the most complicated jobs, they can do more, faster and more accurately and everything is repeatable. Having gone the CNC route, they also can’t imagine life without one. “It really was life-changing for us,” says Rob. Better technology has allowed them to take on more work, to the point that they will soon have to expand the shop again. “We realty love what we do and it feels good to be in business together like this,” says Rob, who in addition to the work in the shop, does all the quotes, design, sales and paperwork. Sure, it’s a bit overwhelming at times, but he says he doesn’t have any regrets. “Sometimes I miss going home earlier, but we started the company at the worst time really, in the middle of the recession, so we had to work hard and lean and we’ve never stopped.”As for their future plans, the Walls say they want to continue doing what they’re doing and grow the company.